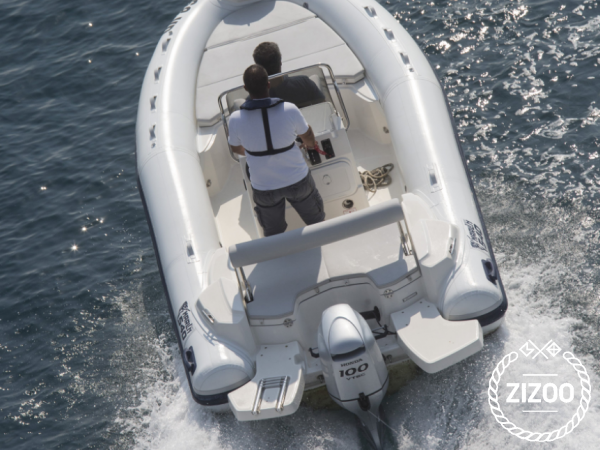 Regularly serviced and well maintained MARLIN 540 is a great choice for you if you would like to explore Croatian coast by boat. From the outdoor equipment you have awning, bathing ladder, bow and aft sundeck ideal for relaxing and enjoying the sun. For your navigation you have GPS. Additional equipment which can be rented includes water skis and accessories, wakeboard and tow buoy.Also Marlin 540 has radio,MP3,subwoofer,bimini top,toilet,fridge. Boat is new, built in 2016, so you will be among its first guests and you will have the opportunity to experience its performances. Marlin 540 is located in Vodice, close to Šibenik, and you can easily reach us by car. From this starting point, you can navigate yourself toward islands Prvić, Tijat, Zmajan and Zlarin. Those islands are perfect for relaxing and enjoying the clear Adriatic Sea. Bring your snorkeling equipment and explore Adriatic underworld.